According to Breanne Tidemann, a field agronomy scientist with Agriculture and Agri-Food Canada based in Lacombe, Alta., herbicide resistance is continuing to increase in terms of how common it is, as well as how challenging it is to manage. “With each new herbicide-resistant weed, herbicide options become more restricted. With wild oat as an example, we have biotypes on the Prairies resistant to group 1 and 2 herbicides quite commonly, but there is also resistance to group 8, 14 and 15 products. That really limits herbicide options,” she says. Tidemann and her colleagues have been exploring other avenues of control, chiefly a machine designed to destroy weed seed at harvest. 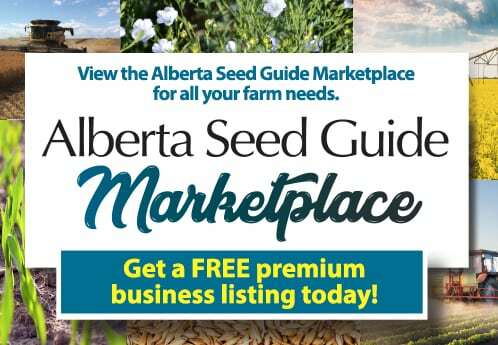 Funding for the research, which started in 2017, is being provided by the Alberta Canola Producers Commission, Alberta Wheat Commission, Saskatchewan Wheat Development Commission and the Western Grains Research Foundation. Ian Epp agrees. He says in addition to reducing the total number of weed seeds entering the weed seed bank, harvest seed management is also beneficial in reducing the spread of weed species, including herbicide-resistant weeds, within a field. 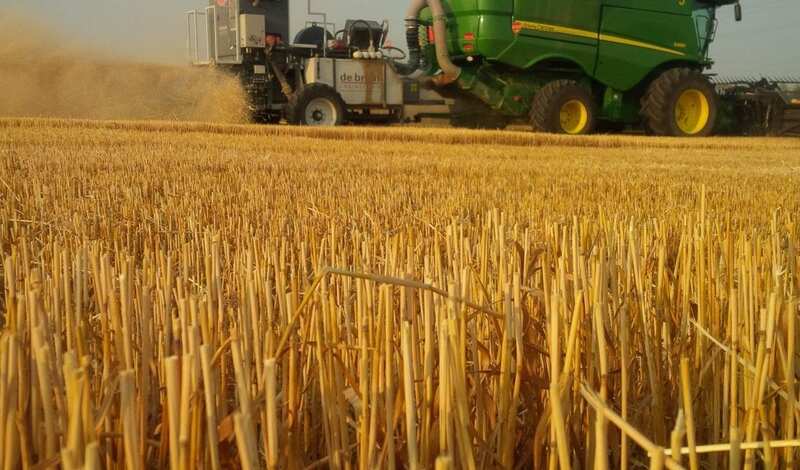 “Combines represent one of the best dispersal mechanisms available to weeds,” says the Saskatchewan-based agronomy specialist with the Canola Council of Canada. This may result, he says, in growers using otherwise too expensive or intensive ‘patch’ management strategies to deal with, or delay, a weed problem. He firmly believes that reducing the number of seeds entering the seed bank, and/or manipulating where they enter the seed bank, are two important tools for managing an ever-changing composition of weeds in any field. She’s using the Harrington Seed Destructor (HSD), invented in Australia, a device that’s towed behind the combine and features a cage mill that crushes the chaff — and the weed seeds the chaff contains. Speed of chaff movement is critical for the system to work best, and Tidemann has also found that farmers should wait until green or tough material has had a chance to do some drying. The tow-behind HSD model is actually no longer on the market, but the firm offers the Integrated Harrington Seed Destructor (iHSD) that mounts directly onto the combine. Australian researchers have shown that the HSD and iHSD provide similar results. There is also a competitor called the Seed Terminator. As far as Tidemann is aware, there are no published research results about the performance of the iHSD or its competitor, but she says a number of producers are using the iHSD in Australia, and there is also one being used in Canada, north of Saskatoon. She’s heard that both of the mill systems on that unit ran into some wear issues last harvest, and that some modifications are being tried. In order for a seed destruction system to be effective, the weed seeds obviously need to be in the chaff. Cleavers and volunteer canola work well, but chickweed seed doesn’t because it’s so close to the ground and producers don’t want to chance equipment damage by cutting at that level. Tumble weed also presents a similar issue — as does wild oat, but for a different reason. Tidemann notes that a couple of producers in the province are trialing a harvest weed seed control method called chaff lining (see sidebar) that’s less expensive than seed destructors. At this point, she doesn’t think most producers see the cost of seed destructor systems being worthwhile.Epp reports that the iHSD currently costs about $150,000 and the Seed Terminator rings in at about $100,000. However, while Tidemann states that something like chaff lining may be easier to adopt initially, a lot of the same operational principles apply in terms of, for example, seed capture/retention issues. Chaff lining is the practice of concentrating chaff in a narrow row between stubble rows directly behind the harvester. An August 2018 University of Western Australia report states that use of chaff lining has risen rapidly in that country over the last two years. “A survey of WeedSmart subscribers,” states the report, “shows the percentage of growers using chaff lining increased from 6% in 2016 to 26% in 2017.”WeedSmart is an industry-led initiative to enhance on-farm practices and promote the long-term sustainability of herbicide use. Recent studiesheaded by Annie Ruttledge, from the Department of Agriculture and Fisheries in Toowoomba, Australia, show that use of chaff lining or chaff tramlining — when chaff material is concentrated on dedicated tramlines in controlled traffic farming systems — does concentrate weed seeds into a narrow area, and that heavy layers of chaff lead to better suppression of weed emergence. “Small seeded broadleaf weeds, for example common sow thistle, are more easily suppressed than grass weeds with larger seeds, such as annual ryegrass. Thick tramlines and chaff lines reduce, but do not prevent, weed emergence, so other measures may be needed to control weeds in tramlines/chaff lines, for example, spraying the tramlines with a shielded sprayer,” says Ruttledge. For more information go to https://weedsmart.org.au/how-chaff-lining-works/and https://ahri.uwa.edu.au/chaff-liningtoo-good-to-be-true/. The TerraSentia crop phenotyping robot, developed by a team of scientists at the University of Illinois (U of I), will be featured at the 2018 Energy Innovation Summit Technology Showcase in National Harbor, Maryland, on March 14. TerraSentia is customizable and teachable, according to the researchers, who currently are developing machine-learning algorithms to “teach” the robot to detect and identify common diseases, and to measure a growing variety of traits, such as plant and corn ear height, leaf area index and biomass. 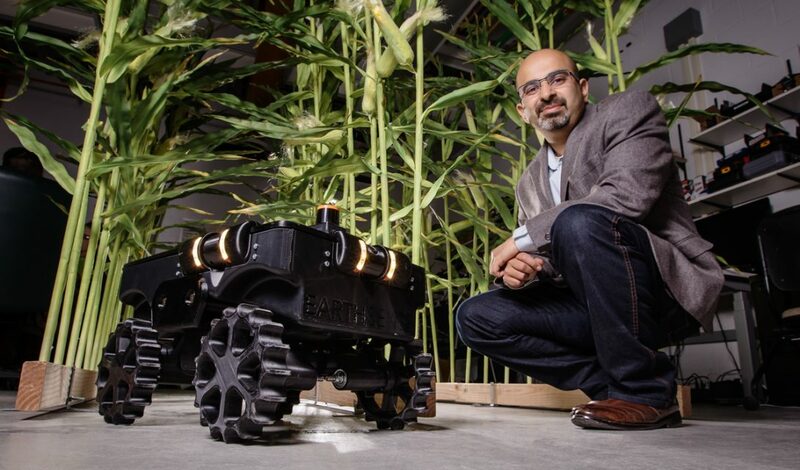 “These robots will fundamentally change the way people are collecting and utilizing data from their fields,” said U of I agricultural and biological engineering professor Girish Chowdhary. He is leading a team of students, engineers and postdoctoral researchers in development of the robot. “A robot or swarm of robots could go into a field and do the same types of things that people are doing manually right now, but in a much more objective, faster and less expensive way,” Bernacchi said. The DOT Power Platform is designed to handle a large variety of implements commonly used in agriculture. This new seeding innovation is one example of how new ideas are transforming precision ag. Agriculture – like all other sectors – is changing fast, with new technologies and computing power now being employed to achieve things our grandparents wouldn’t believe. 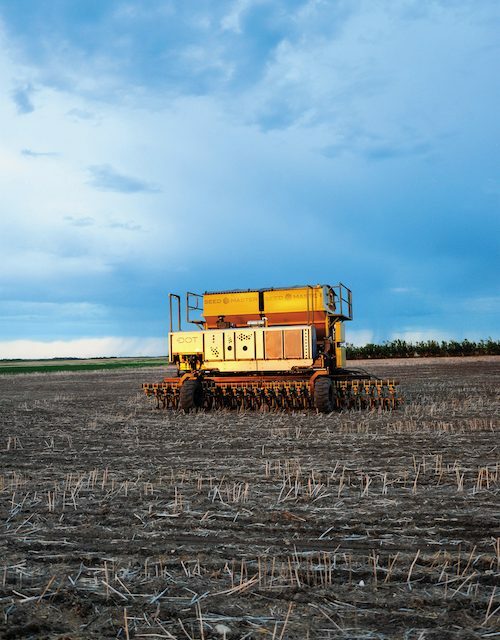 One example of these achievements is precision agriculture, and Saskatchewan-based SeedMaster has taken precision ag a step further on its evolutionary path by developing the DOT Power Platform. The DOT Power Platform is designed to handle a large variety of implements commonly used in agriculture, mining and construction. Its U-shaped frame directly loads implements so that they ‘become one’ with the machine. It can be run by remote control or in completely autonomous mode. DOT is the brainchild of SeedMaster founder Norbert Beaujot, and it’s one of a long line of innovations Beaujot has dreamed up and brought to reality over his long career. Both his background in farming and his education as an agricultural engineer at the University of Saskatchewan prepared him for this calling. Indeed, it was thinking about larger equipment that led Beaujot to come up with DOT. For most of the next two years, Beaujot worked out all the details, everything from how to mount the steering and wheels to where the engine should sit. Beaujot decided to place the engine and some other things on one of the side rails, making it possible for tanks and other things to be placed on the other side, and for seeding and tillage equipment to go below the rails. Then he had to scale the unit correctly for efficient operation on large farms. In terms of autonomous operation on-farm, the first step is to load boundary and field obstacle information into the system. A few seconds later, the DOT software creates a path plan, which is then approved by the farmer and can be altered at any time to address changing field conditions. During actual operation, DOT’s short- and long-range sensors allow it to sense any issues in its path, and if it’s unsure how to proceed, it will send an alert to its farmer-owner. A prototype DOT unit is busy powering a seeder, sprayer, land roller and grain cart on research fields. In 2018, there will be a limited release of DOT to select farms in Saskatchewan, followed by broader distribution nationally and beyond in due course. Since its launch at the Ag in Motion show in Saskatchewan in July of 2017, it’s not surprising that DOT has received a groundswell of interest inside and outside of agriculture from around the world. Norbert’s son and DOT marketing and sales manager Cory Beaujot believes the seed-growing industry would benefit from the DOT model of autonomous agriculture in several ways. “Pre-plotted-out maps of seeded areas dedicated to this variety or that and safe and easy transition between different varieties, are a couple of things that come to me right away,” he says. Cory notes that food security is of ultimate concern to a huge percentage of the world’s population today and that it’s only going to become more important as we march forward. The absence of a good labour source for farms, Norbert adds, is another reason agriculture is going to continue to need innovative thinking. While he notes systems like DOT are innovative, they’re not a true form of artificial intelligence. Worzel foresee a possible future where farms may have a true AI that a sub-system like DOT reports to when it runs into a problem, instead of reporting to a human being. As for how he achieves his out-of-the-box thinking, Norbert gives much of the credit to his ability to simply dwell on a problem.